How to Enjoy Freedom Offered by Fosjoas V6 Electric Unicycle? People can ride Fosjoas V6 single-wheeled electric scooter anytime, anywhere and at will, which is the original aim of this scooter. During the riding course, riders can fully feel the freedom, flexibility and convenience offered by Fosjoas V6 electric unicycle. Comparatively speaking, freedom is the most important feature, because freedom embodies riders' mental state. If you are living in a big city, you will find it is so busy. From early morning to late night, too many people are getting stuck by congested traffic on road, especially in rush hours. They are busy in going to company, back home, or ferrying kids from school. What if there is a transport that gives people free riding and lets them go to some place at will? Actually, Fosjoas V6 electric unicycle is the one that can make people's wish come true. This article aims at how to enjoy freedom offered by Fosjoas V6 electric unicycle. 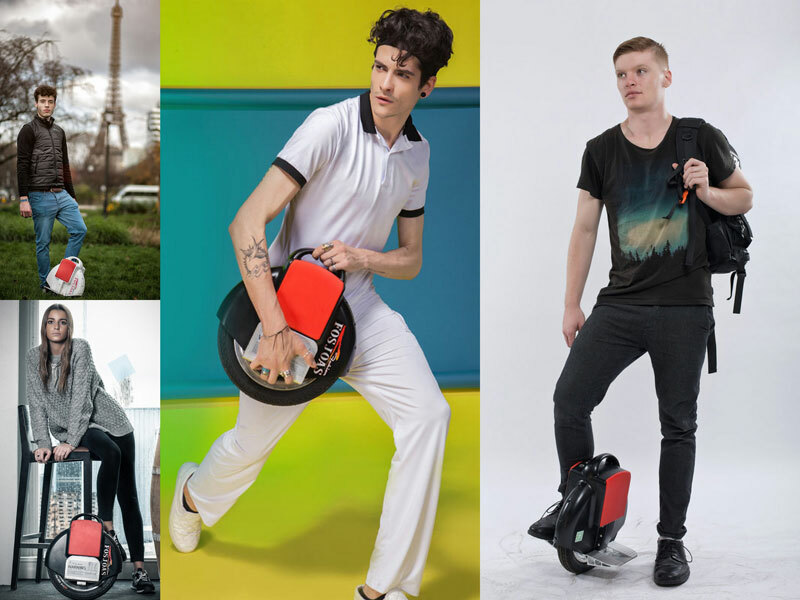 First and foremost, Fosjoas V6 one-wheel electric unicycle offers free riding, which benefits from adopted intelligent chip, aerospace attitude control theory, and fuzzy software algorithm and gyroscope system. Then, riders can ride Fosjoas V6 electric scooter freely. Slightly leaning forward realizes speeding up, while leaning backward realizes slowing down. Turning body to left or right will change the direction. Therefore, it is free to ride Fosjoas V6 electric scooter. Riders can start or stop anytime and anywhere. On the basis of free riding, Fosjoas V6 single-wheeled electric scooter offers people free travel. It is powered by lithium-ion battery and its maximum range is 23km. In other words, it can cover many short-distance travels for people. People can use it as a commuting transport, like going to company or school. It helps people to avoid traffic jam and takes them to destination smoothly. People also can use it as a transport and to have a short journey on weekends. At this moment, people can feel the freedom of riding Fosjoas V6 one-wheel scooter much better. To large extent, free riding and free travel largely reduce mental stress of people. After all, facing congested travel really makes people fatigued. However, people will gain free mindset and will love their life more if they ride Fosjoas V6 scooter.